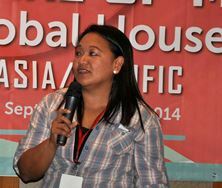 Management of the luxury Peninsula Manila Hotel continues its retaliatory attacks on IUF member unions for their involvement in the IUF's Global Housekeepers Campaign and for effectively representing their members at the hotel. The Peninsula Employees Union and Manila Pen Supervisors Chapter, members of the IUF-affiliated NUWHRAIN, have negotiated improvements in the CBA and better working conditions for housekeepers. Last year, union action secured unprecedented government inspections of working conditions at hotels. The Manila Peninsula was ordered to regularize 405 casual employees including 55 housekeepers at the hotel. Tell management of the Manila Peninsula to reinstate Jenny Marcos, stop harassing Cesar Pagaling and Francisco Aliansas and negotiate in good faith with the NUWHRAIN unions at the hotel. If you haven’t already done so, USE THE FORM BELOW TO SEND A MESSAGE!